Over the past several years, the judges in the Central Islip Bankruptcy Court here in the Eastern District of New York have done an outstanding job issuing well-reasoned decisions covering a variety of issues. These opinions are great practice tools and I truly look forward to reading new ones as soon as they come out. These decisions often explain a judge’s thinking, which can give clues as to how the judge may decide other issues down the road. They may explain a complex issue of law. They can also provide insight on some of the recent changes to the law and how counsel should interpret these new provisions. Sometimes the decisions are merely entertaining and an interesting read. The decisions are easily accessible on the court’s website for free. I’ve found so many of the Court’s recent decisions important and interesting that I’ve devoted many of my columns to discussing them. This month’s column is no exception. Last month, Judge Robert E. Grossman issued a fascinating decision which basically pointed out many things a real estate appraiser should NOT do. Joseph Lepage v. Bank of America, no. 8-10-08287-reg, (Bankr. E.D.N.Y. May 18, 2011). Lepage was a Chapter 13 bankruptcy case which involved a routine adversary proceeding in which the debtor sought to cram down the second mortgage. A Cram-down, also known as a “strip-off,” is when a debtor strips off and avoids the secured status of the second mortgage because there is insufficient value in the property to secure any part of it. Debtors have the ability to cram down second mortgages in Chapter 13 bankruptcy cases pursuant to Bankruptcy Code § 1322(b)(2). One of our three Central Islip judges, Judge Dorothy T. Eisenberg, also permits Chapter 7 debtors to do this as well, something I’ve addressed in a prior column. A debtor must bring a cram-down application by adversary proceeding, which is essentially a federal lawsuit brought within the bankruptcy case. In order to cram down a second mortgage, the house must be underwater to the extent that there is no equity whatsoever covering the second mortgage. In other words, the value of the house must be less than the balance due on the first mortgage. The debtor demonstrates this by supplying the Court with an appraisal. As such, the only defense that the second mortgagee can generally assert is that the debtor’s appraisal is inaccurate, and that the house is actually worth at least a dollar more than the balance due on the first mortgage. The appraisal is therefore very important and, as you will see, using a highly experienced appraiser, at least in the event there is a trial, can be critical. When a mortgagee challenges the appraisal, which is relatively rare, then the Bankruptcy Court ultimately schedules an evidentiary hearing in which the Court decides what the value of the property is. That was the sole issue in the Lepage case. In fact, the parties agreed that the only issue to be litigated was the value of the house. It was agreed that if the Court determined that the house was worth less then the amount due on the first mortgage, then the debtor would prevail on the cram-down proceeding. In Lepage, the debtor asserted that the house, a 900-square foot ranch located in Brentwood, was worth $175,000, which was less than the balance due on the first mortgage. The second mortgagee, however, argued the house was worth much more – $205,000. The balance due on the first mortgage was $181,000. Thus, as long as the Court determined that the property was worth less than that amount, the debtor would be successful with the cram-down application. The debtor used an appraiser who has been an active appraiser for 31 years, and has been licensed for the past 15 years. There was evidence that he had testified extensively in Federal and state courts. He even held a law degree. The mortgagee’s appraiser, on the other hand, had only been appraising for eight years, and had only been licensed for four years. He testified that he had never testified as an expert in any court. Both appraisers testified that they employed the “direct sales comparison” method of valuation in determining the value of the property. As the debtor’s appraiser explained, this method involves inspecting the property and reviewing Multiple Listing Service reports for sales comparisons. 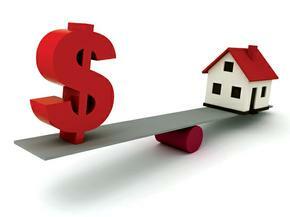 The appraiser then takes into consideration a number of factors and adjusts the comparable sales to the property. The court stated that this approach constitutes the best evidence of market value. The debtor’s appraiser also considered a downward “time adjustment” of two percent per month to account for the decline in sales prices as the Long Island residential real estate market has been in decline since 2007, which was important as Brentwood has experienced a steeper than average decline in home prices. He estimated this decline to be 25% per year. In addition, he stated that Brentwood contains many properties that have been foreclosed, and are now “REO”– real estate owned by the bank. Since banks typically sell REO properties for less than market value, this has the effect of depressing all sales of homes in the area. During cross-examination, debtor’s counsel was able to demonstrate that the approach taken by the mortgagee’s appraiser contained three significant and ultimately fatal deficiencies. First deficiency: The mortgagee’s appraisal contained valuations based on the fact that the house did not have a garage. However, during cross-examination, the mortgagee’s appraiser was caught admitting that he did not know whether the premises had a garage or not – a significant factor that affects valuation. In fact, the house did have one. That certainly shot down this appraiser’s credibility. Second deficiency: The mortgagee’s appraiser used some comparable properties that were listings and not sales. A listing is not an accurate indicator of a property’s value and usually has no place in an appraisal. Third deficiency: The debtor’s appraiser took into consideration the effect of REOs in the neighborhood, whereas the mortgagee’s appraiser neglected to do so. The Court pointed out that this constraint made his report less accurate. Judge Grossman adopted the debtor’s appraiser’s valuation of the property in its entirety, commenting that his methodology was consistent with industry standards and his testimony was credible. In stark contrast, the Judge described the mortgagee’s appraiser’s methodology as flawed, and his testimony as less credible. Indeed, the mortgagee’s appraiser even admitted that his omission of REO sales in his calculations rendered his valuation less accurate. In citing caselaw, Judge Grossman pointed out that valuing assets is not an exact science and that the Court must look to the accuracy, credibility and methodology employed by the appraisers. Courts are not bound by appraisals submitted by the parties and may form their own opinions as to the value. The burden is on the debtor as the moving party to establish that “there is not even one dollar of value” in the property to support the lien which the debtor seeks to avoid. Once the debtor has met this burden, it is up to the challenging party to submit evidence to overcome the debtor’s valuation. Accordingly, the debtor prevailed and was successful in cramming down the second mortgage to his house. Kudos go to bankruptcy attorney Alan C. Stein of Plainview, who represented the debtor, and his appraiser, John Breslin, of Huntington. Most cram-down applications are unopposed. However, if the mortgagee contests your valuation, hire a highly experienced appraiser who will testify in court. Also, keep in mind that if you have a hearing on valuation, you will either be totally successful or totally unsuccessful – all depending on how the court weighs the competing valuations. Therefore, it may be wise to play it safe and negotiate a settlement with the mortgagee, for example, by agreeing to reduce the balance on the mortgage substantially. About the Author. Long Island Bankruptcy Attorney Craig D. Robins, Esq., is a regular columnist for the Suffolk Lawyer, the official publication of the Suffolk County Bar Association in New York. This article appeared in the June 2011 issue of the Suffolk Lawyer. Mr. Robins is a bankruptcy lawyer who has represented thousands of consumer and business clients during the past twenty years. He has offices in Mastic, Patchogue, Commack, West Babylon, Coram, Woodbury and Valley Stream. (516) 496-0800. For information about filing bankruptcy on Long Island, please visit his Bankruptcy web site: http://www.BankruptcyCanHelp.com.